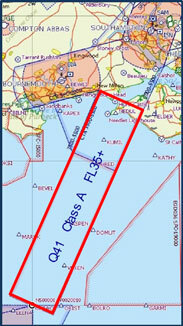 Launched by The General Aviation Alliance, an airspace change proposal to change airway Q41 from Solent to the Channel Islands is now being taken forward by the Future Airspace Strategy VFR Implementation Programme. Following an initial consultation FASVIG has analysed the responses and launched an amended proposal to raise the base of the airway. You can view the Feedback Report from the initial consultation and the short consultation on a revised proposal via the links below. The consultation closes for comment on Sunday 14 August 2016.